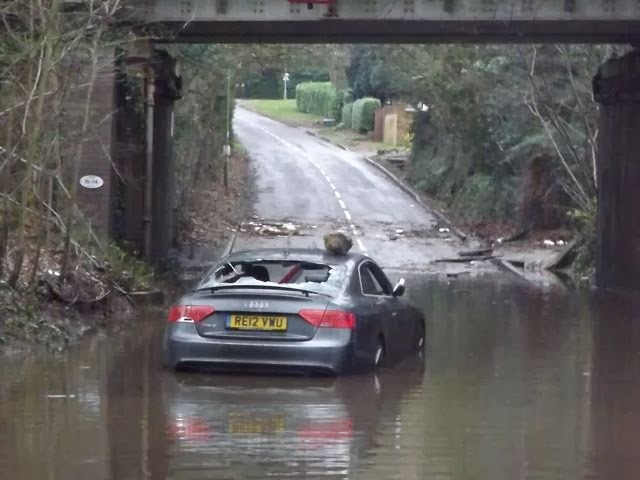 During a recent flood in Surrey, UK, the driver of this Audi RS5 left the car for several days on a flooded road. 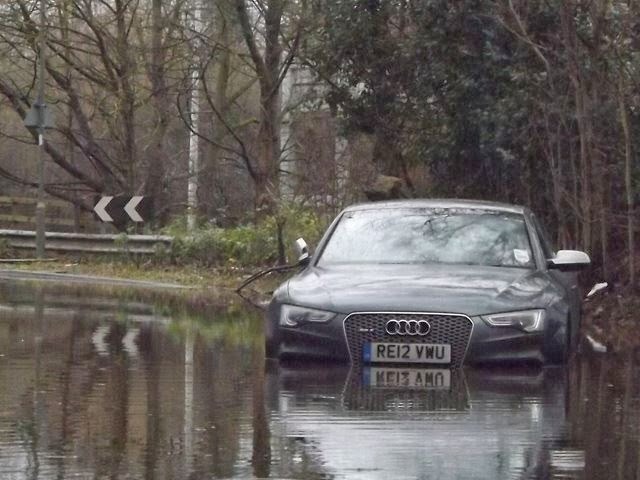 We don't know if the car was stolen but there's something sure: it has seen better moments! 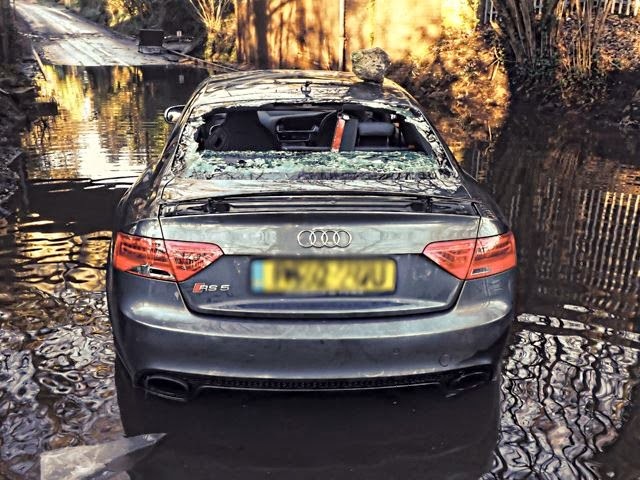 The wet and broken RS5 has been vandalized and it's sad to see in the following pictures how the morons have treated the car; a rock has been thrown on the roof and all the windows have been broken, needless to say that all the expensive things inside must the car have been taken away for sure. Hi, very usefully information, keep it continue. Audi R8 / RS Series latest model year for 2016. It's really a horrible condition; it hurt to see your favorite car in this condition. During natural disaster we are unable to protect our cars; but we should take very good precautions to deal with these kinds of situations. Otherwise we are searching for best Audi Repair Centers in our locality after this condition of our favorite luxurious cars.